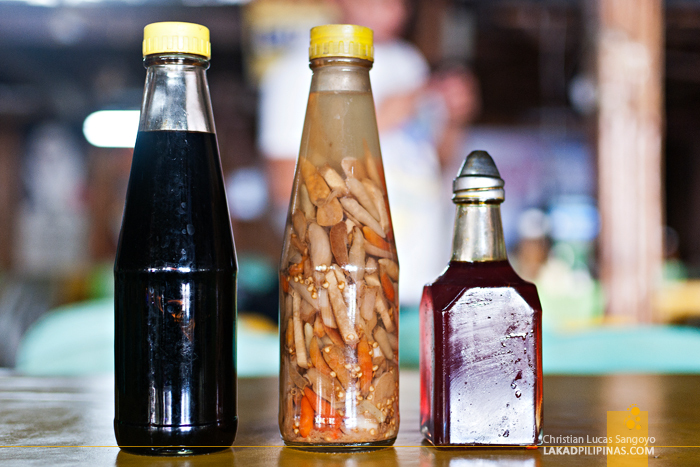 If there’s one thing Bacolod City is well known for, it’s the multitude of food places that line its avenues. There are expensive cafés and posh restaurants of every kind out there, but there are also sidewalk carinderia eateries that shouldn’t be ignored. 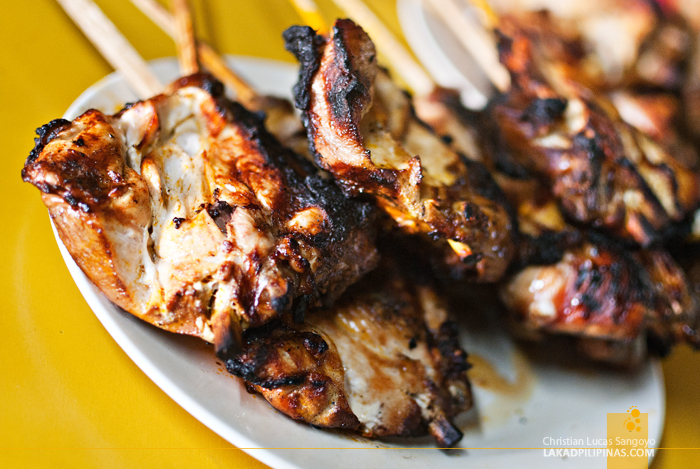 The most popular of these are the stalls that line Manokan Country, here the famous chicken inasal is king. Still groggy from our almost ‘til morning infinity pool drinking session at Melba’s Farm, we headed to Bacolod City’s Manokan Country for our breakfast grub. The plan for the day was to check out Mambukal’s seven waterfalls, we reckon we’ll need all the calories we could get for the trek ahead. Manokan Country is located a few meters away from SM Bacolod. It’s a complex of chicken inasal restaurants housed in an unremarkable squat pink and green structure with a huge painted Manokan Country sign on its roof pediment. 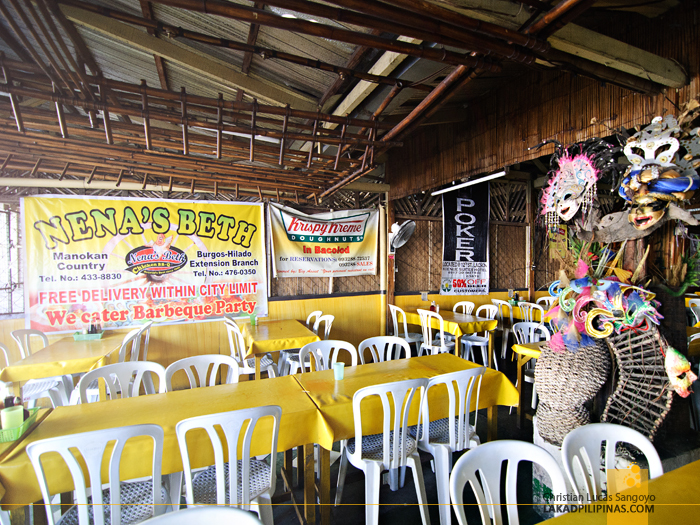 Most people consider Aida’s to have the best inasal in town but Nena’s Beth is also highly regarded. We chose the latter since our van parked directly across their door; we’re sorta leaving everything to chance haha. 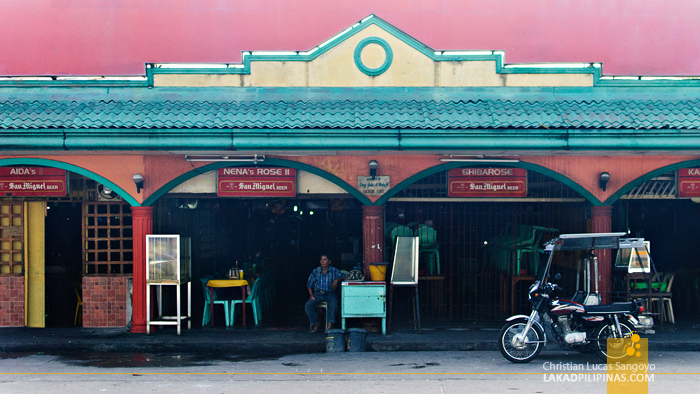 There are no air-conditioned restaurants along the whole strip of Manokan Country. Everything is open-aired and the ambience is of a typical carinderia; plastic orocan chairs and all. You’d however know that this is no ordinary kanto carinderia since each stall is huge and can probably seat a hundred individuals. 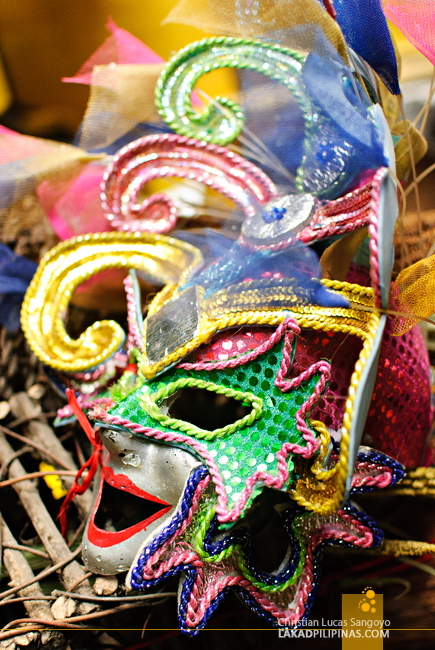 Masskara masks also abound, reminding you that yep, you’re indeed in the City of Smiles. 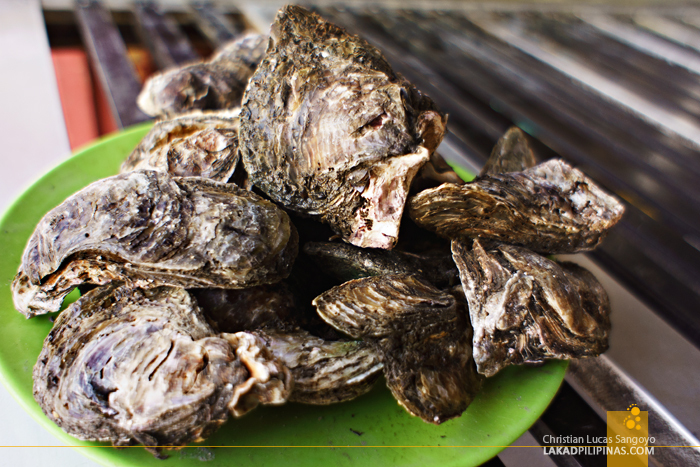 Everyone unanimously ordered a stick of pechopak (chicken breast and wing) (PHP75.00), quickly followed with a helping of oysters (Php60.00). We were the first customers in Nena’s Beth that day and I was expecting that serving time would be long, similar to what I experienced some years back. I was surprised to find our waiter trotting back quickly with plates of chicken inasal in no time. Priced at PHP75.00, exclusive of rice, Nena’s Beth pechopak was freakin’ huge! It’s actually good enough for two persons (who have normal diet habits that is, and that doesn’t include any of us, harhar). So, it’s one colossal pechopak for each of us. In our defense, we have seven falls to conquer later that day! Right?! Before digging in, we mixed our condiments first. Chicken oil were dashed on rice and calamansi juice and chili peppers were mixed with soy sauce for the chicken the dip. Now that everything’s in order, we dig! 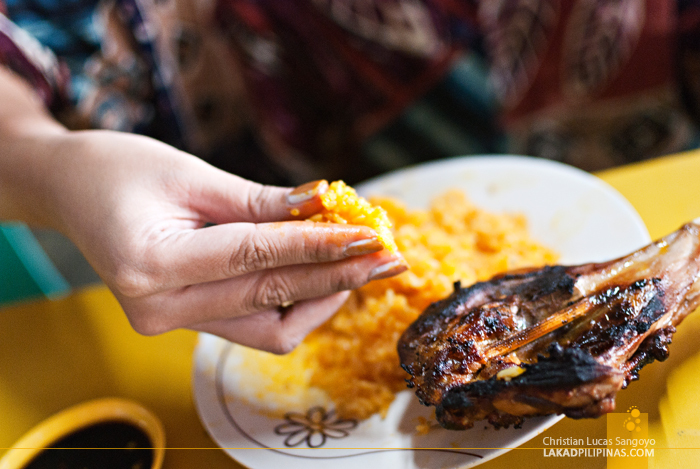 The best way to eat chicken inasal is by bare hands; forget about using a spoon and fork! Our group’s jolly chatter quickly died down and was replaced by total silence as everyone started on their chickens. 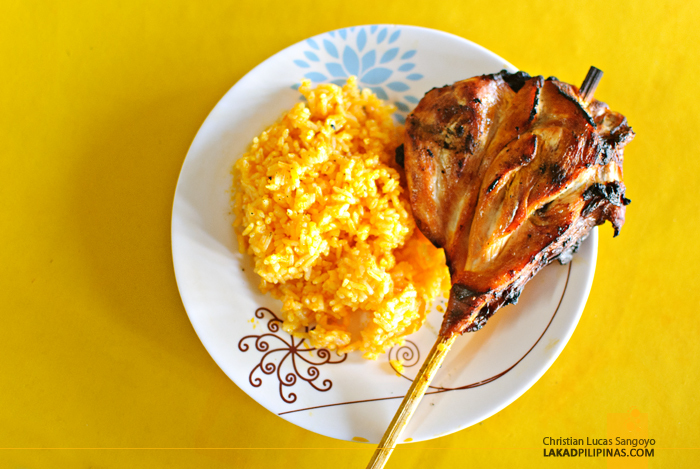 At Bacolod’s Manokan Country, the chicken inasals do reign supreme. Galit galit muna! Before pigging out on cakes at Calea, we first visited Bacolod’s famous chicken joint, Manokan Country. It has been four years since I last stepped foot at this place, and pretty much everything looked the same. Last time, we dined at Nena’s Beth, but this time around, we’re trying out its main chicken insasal competitor, Aida’s. It was past eight in the evening when we arrived and Manokan Country was still packed with diners. Aida’s dining area seems a tad larger than Nena’s Beth, and a bit tidier, if I may say so. Eventually, we found an empty table after ogling for some minutes at the colorful masskara masks on display at the walls of the eatery. We requested for the usual pechopak plus a bowl of sinigang na tuna. And while waiting, I ventured to the kitchen to take a peek how they barbecue their chicken. The manager was gracious enough to let me take a few photos and ask a few questions; my main one really being, the difference between a normal barbecued chicken and an inasal. She told me that chicken inasal, besides being basted with achuete or annatto oil, is marinated in various spices for almost twenty four hours before being cooked. A whole day! Can you just imagine that? And as our orders arrived and we dug in, we can really taste how deep the marinade went for Aida’s very tender and juicy chicken inasal. We were so busy with our chicken, we almost forgot we also have sinigang on the sides! This is one of the best, if not the best inasal I’ve ever had. This is not the best post to read early in the morning... hungry... and no breakfast ready.